The plain facts upon which American Fire sits prove that dozens and dozens of buildings, most of them abandoned, were deliberately set ablaze in and around the once bustling but now barely whispering Virginia countryside from Nov 2012 through the spring of 2013. A couple of locals wind up being at fault, as is revealed early in the narrative. That Hesse is able to keep readers turning pages long into the night around a story that is pretty cut and dry really speaks to her ability to tune into the beating hearts at the center of the tale: the dysfunctions of families, the unswervingly human tendency to do anything for love, the ways in which the disappearance of local power and prosperity can create a vacuum that destabilizes not just a town's economic prospects but also the local culture and collective identity. Don't be fooled: this isn't another attempt by white liberals to find out why white conservatives voted against their own interests in the fall of 2016 - or, rather, if it does go down that road, it does so in a very low-key and nuanced way, skipping the national political conversation almost entirely. What readers are treated to instead is a tale in which the writer's genuine interest in the place, people, and story creates a kind of narrative magic. It's good old-fashioned storytelling about contemporary America, in other words. No "reality" tee-vee or dystopian rabbit holes; no hyperbole or tricks. Just a journalist with her skin in the game and a town full of people who, it turns out, really have their hearts on their sleeves. If you wonder why journalism matters in this day and age, read this book. 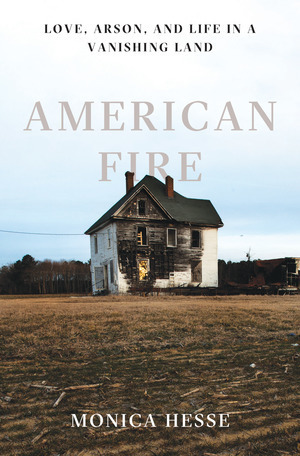 Sign into Goodreads to see if any of your friends have read American Fire.